Hey everyone! I am having a great day today! I hope you are too! Today I have my last princess inspired mani! I must say I struggled a bit with this challenge and wanted to quit it several times especially when I realized I haven't seen many of the movies with the princesses in them. I will make sure to fully pay attention to all the prompts from here on out. I am glad it is over though and I am glad I pushed through to the end. 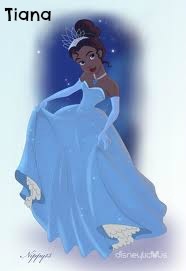 Today we have the beautiful Princess Tiana mani! 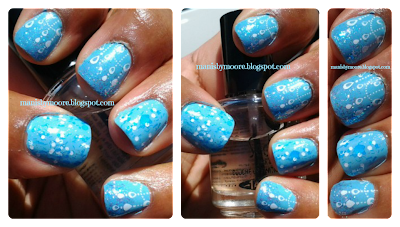 Claire's has these new amazing splatter effect polishes and I am sooo in love! I stop in every time I am in the mall to make sure that they do not have any new colors! I was blown away when I found two more!! Woot woot! 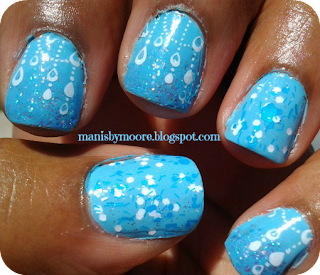 Flashing Lights is a beautiful one with blue and white glitters both hex and very small bar glitter. There is also a beautiful shimmer in the polish. So so pretty! Have you seen Princess and the Frog?? What is your nail polish obsession?? Thanks for stopping by!